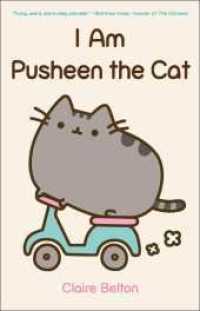 Who is Pusheen? This collection of oh-so-cute kitty comics-featuring the chubby, tubby tabby who has taken the Internet by storm-will fill you in on all the basics.Things you should know about Pusheen.Birthday: February 18Sex: FemaleWhere she lives: In the house, on the couch, underfootHer favorite pastime: Blogging, sleepingHer best feature: Her toe beansHer favorite food: All of themPusheen is a pleasantly plump cat who has warmed hearts and tickled funny bones of millions worldwide with her signature GIF animated bops, bounces, and tail wiggles. Now, Pusheen is ready to make the leap from digital to print in her first comic collection! Learn what makes her purr and find out why millions of people have already fallen in love with this naughty, adorable kitty. Featuring some of the most popular stories from Pusheen's Tumblr and Facebook pages (plus a healthy serving of never-before-seen material), I Am Pusheen the Cat is a treat for cat lovers and comics fans alike.